Food can be broken down into three macronutrients: protein, carbohydrates and fat. While fat contains more calories per gram (9 calories/gram) than protein or carbohydrates (4 calories/gram), it’s an essential macronutrient that possesses multiple health benefits. And yes, you can lose weight by eating fat! The key is to pick the right types of fat and watch your portions. One truth about fat: Too much fat can result in chronic health issues and serious weight gain. Yet you need a certain amount in your daily diet to experience health benefits. Based on the Dietary Guidelines for Americans, the average adult is encouraged to make fat approximately 20-35 percent of his or her total caloric intake for the day. So if you consume 2,000 calories per day, your diet should consist of 400-700 calories of fat, or 45-78 grams of fat. Which types of fat can you eat? While there is some disagreement on this truth about fat, most recommend that you steer clear of trans fats, which are found in many processed foods. These types of fats have been shown to negatively affect cardiovascular health and raise cholesterol levels. Nor should you consume large quantities of saturated fat per day because of what it can do to your arteries. 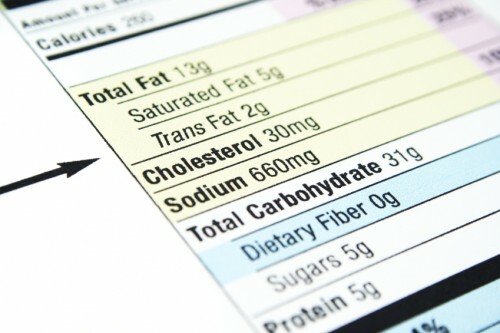 Saturated fats are found in certain dairy products, mostly in processed foods and also in animal proteins and egg yolks. The firm truth about fat is that unsaturated fats don’t cause the kind of damage that other fats do. You can find unsaturated fats in avocados, oily fish, nuts, sunflower seeds, olives and safflower oils.